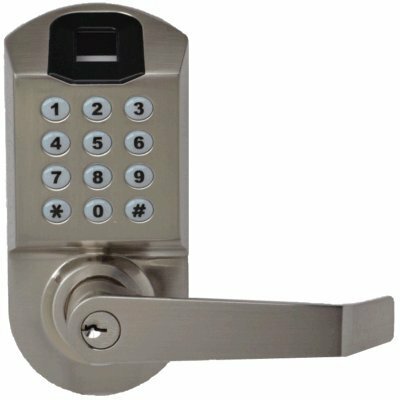 • Unlock by fingerprint, user code, or key. • Fingerprint user capacity 100, Code user capacity 100. • Use programming code or administrator fingerprint to login the system. • Adjustable backset 2 ⅜” or 2 ¾”. • Fit door thickness between 1 ¼” and 2 ¼” (Order screws for door thickness between 2 ¼” and 2 ½”). Please Call 1-800-610-8708 or Email to info@scyanelectronics.com if you have question. Unlock by Fingerprint, User code and Mechanical Key. Could add or delete individual users directly. Up to 100 fingerprints and 100 user codes capacity.